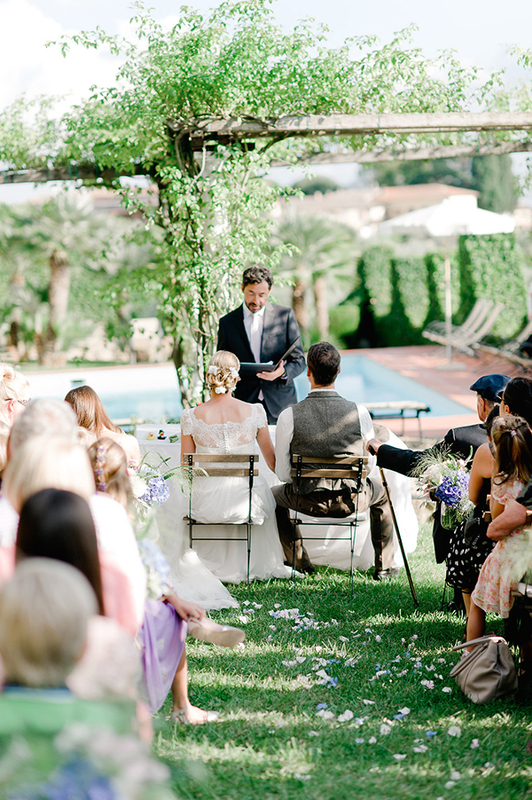 “We had a dream of our wedding. 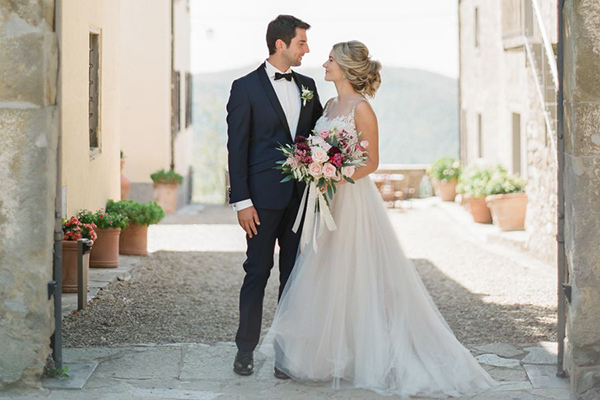 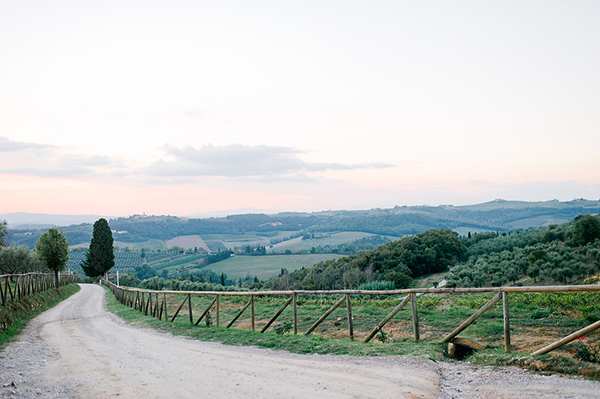 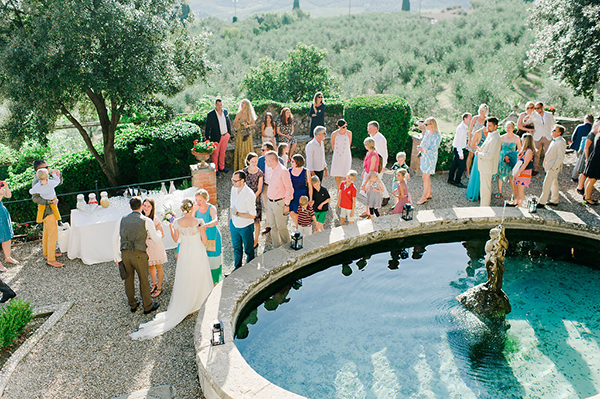 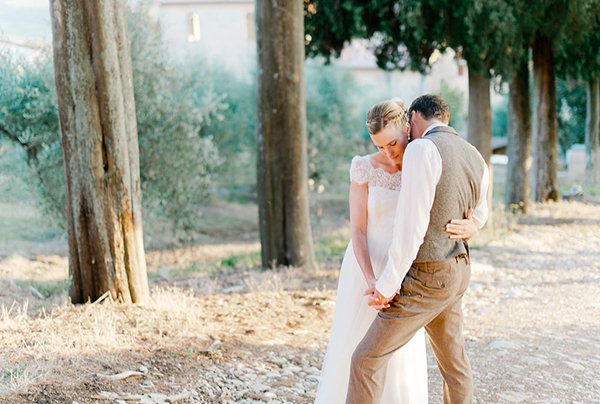 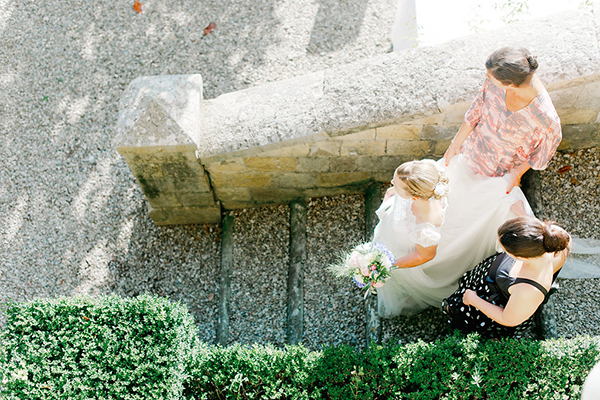 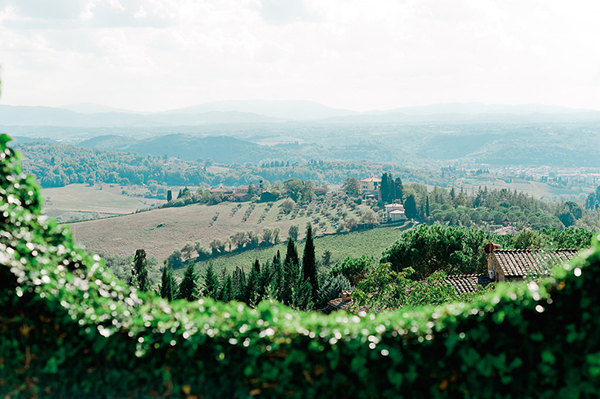 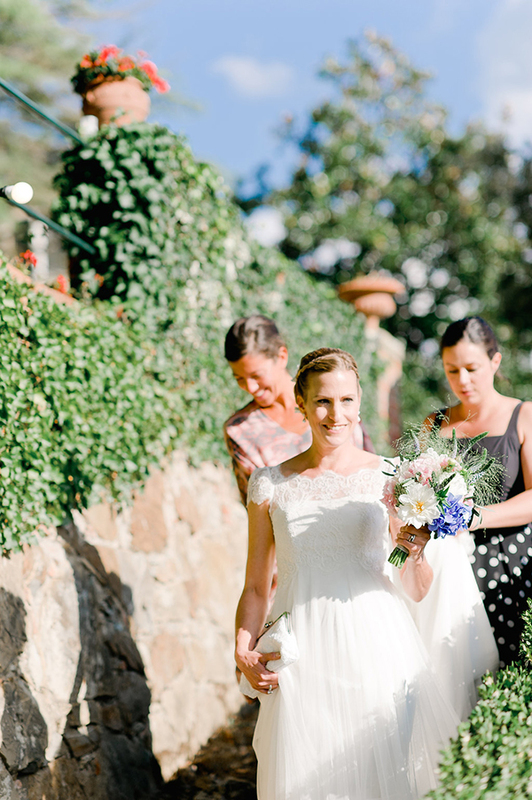 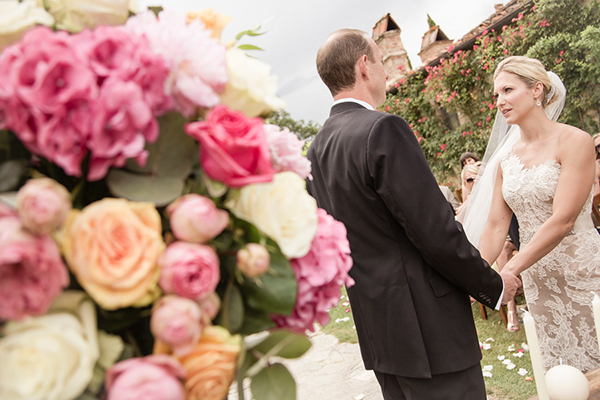 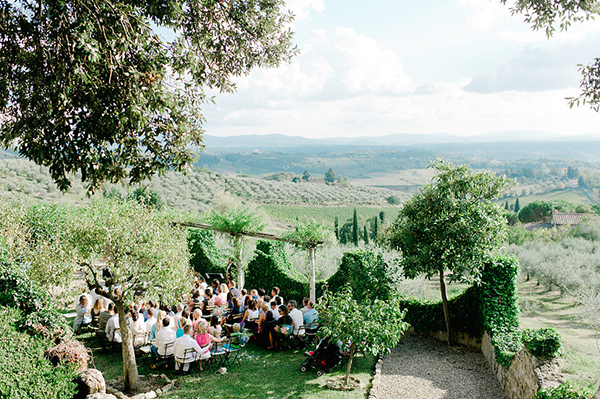 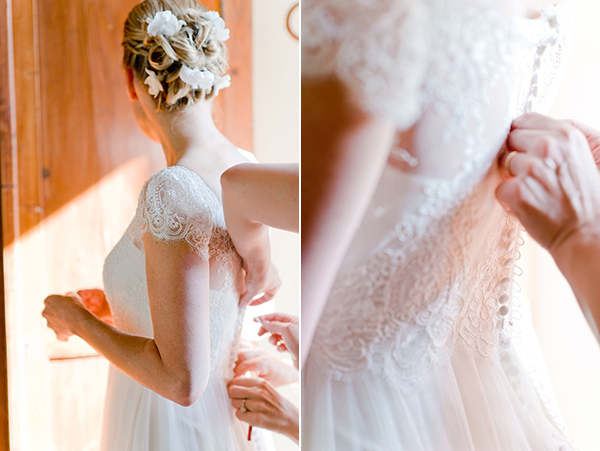 Since I was a girl I always wanted to get married in the hills of Tuscany. 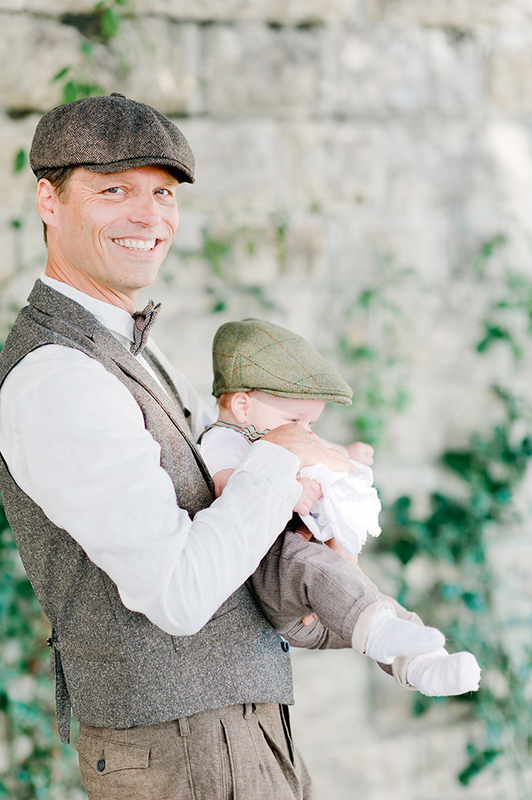 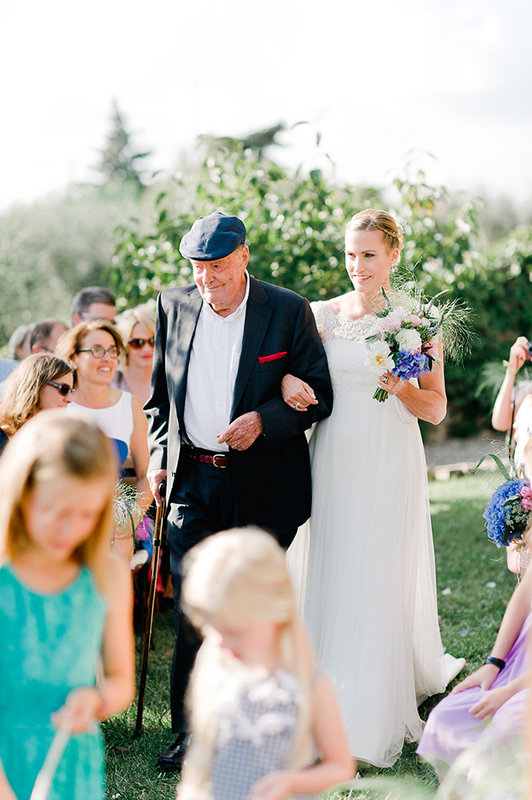 My roots are there… Luckily Klaus shared this dream as he always wanted to get married under a big tree. 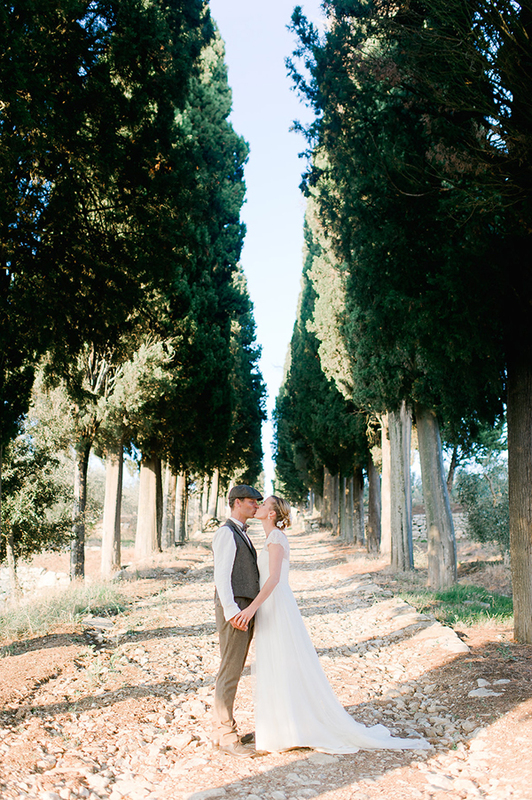 With this location that our wedding planner suggested, we found the perfect place! 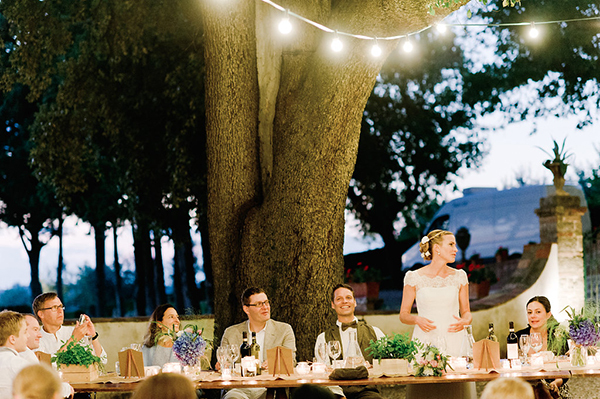 It almost topped our dream…. 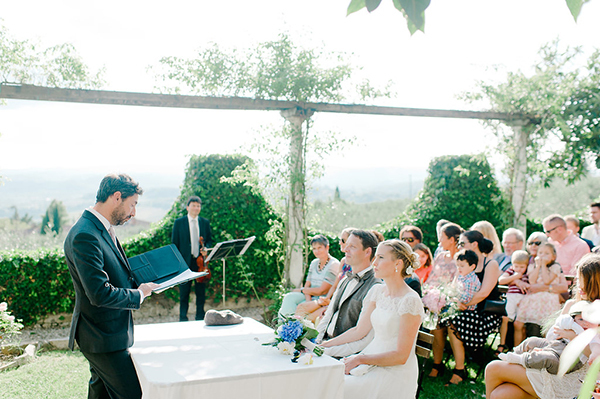 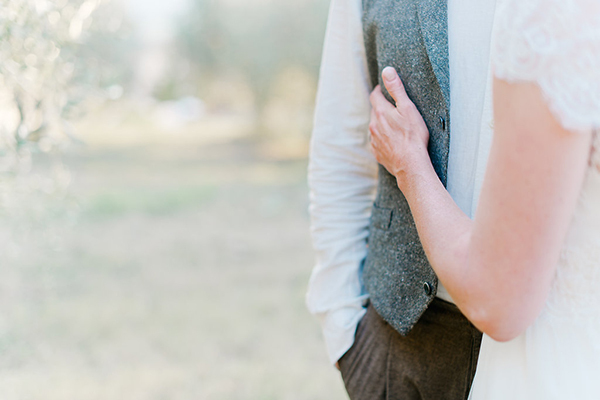 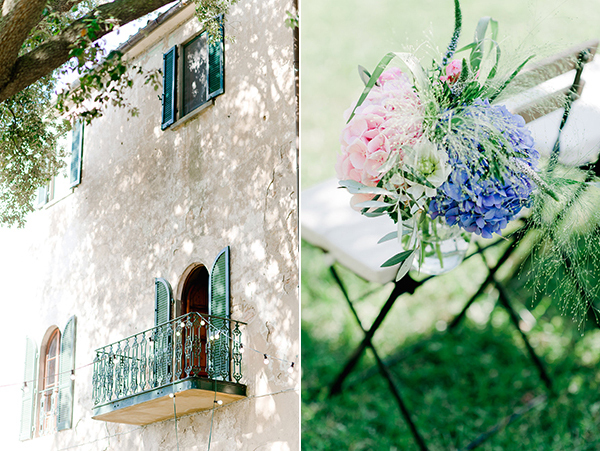 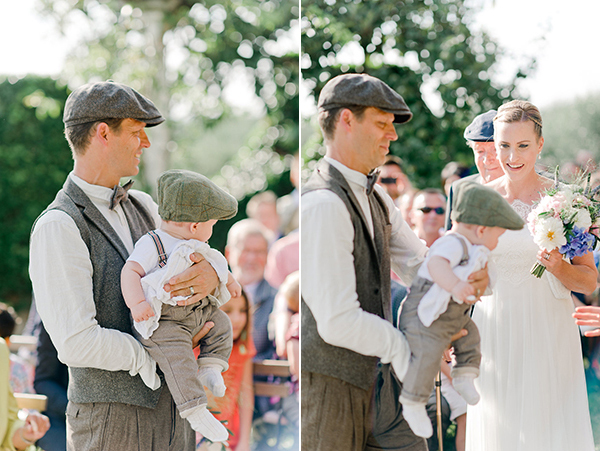 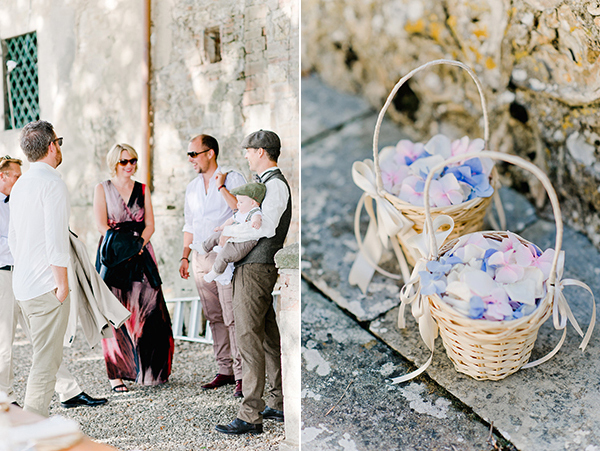 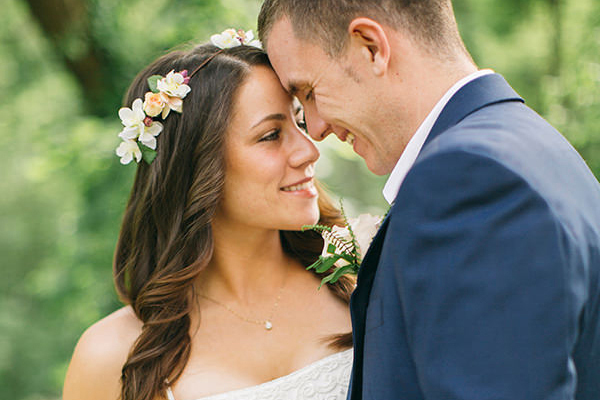 We wanted to get married in the style of a rustic Italian wedding. 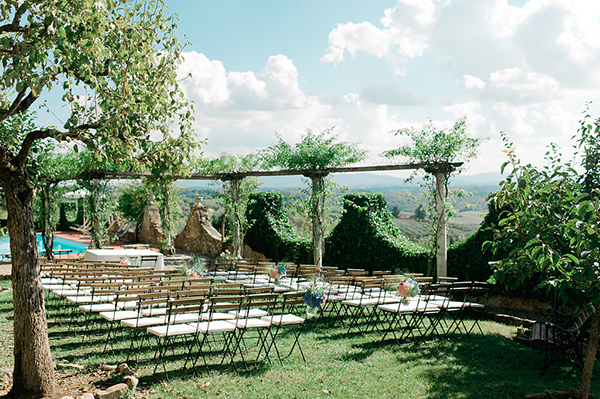 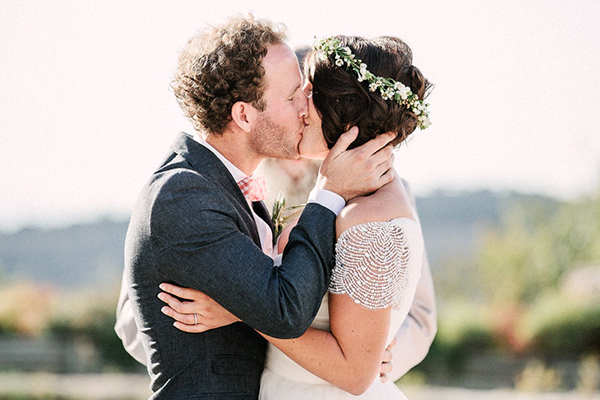 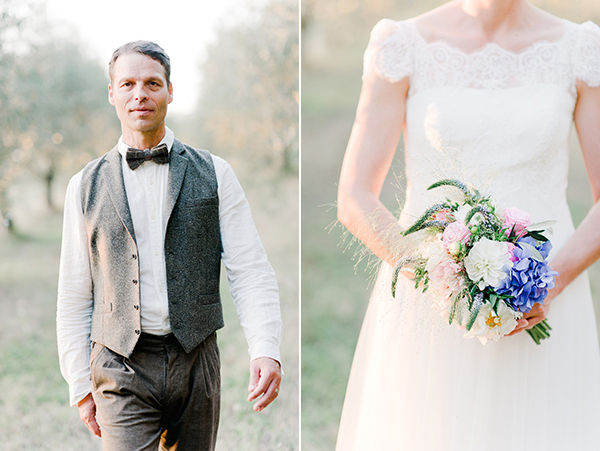 We wanted to let colors and flavors of the Tuscany hills be the leading characters of our wedding. 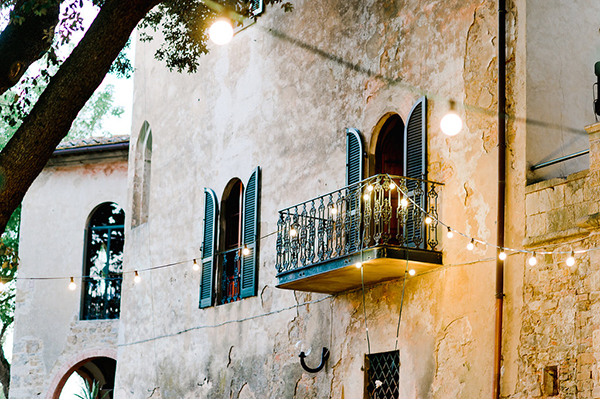 For us the beauty lies in the simple things. 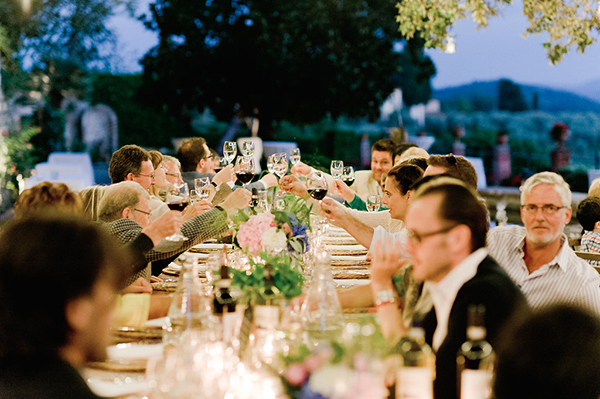 We just love good food and good wine and that is where we put the emphasis on”. 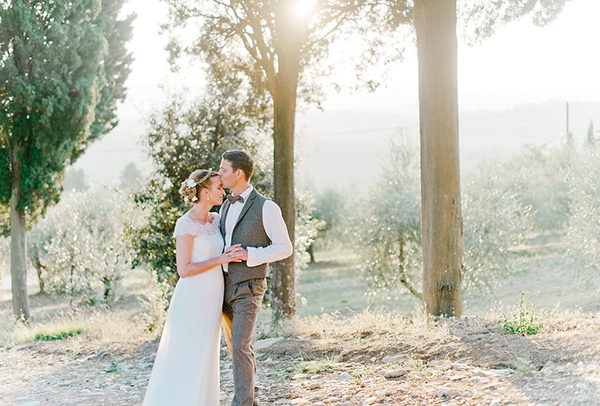 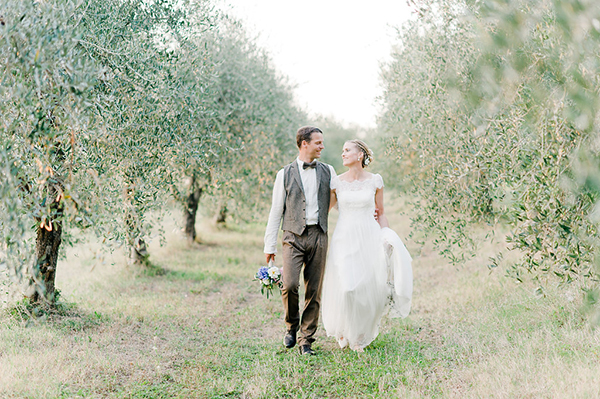 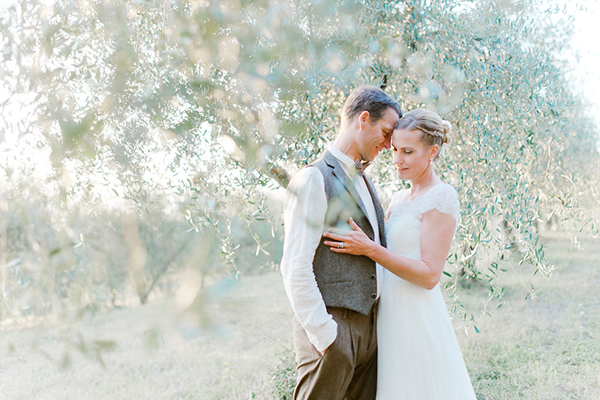 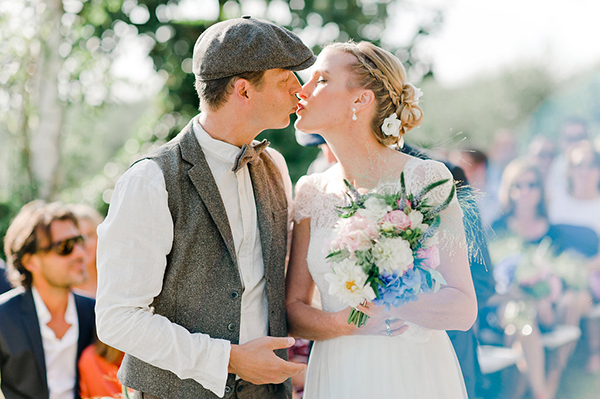 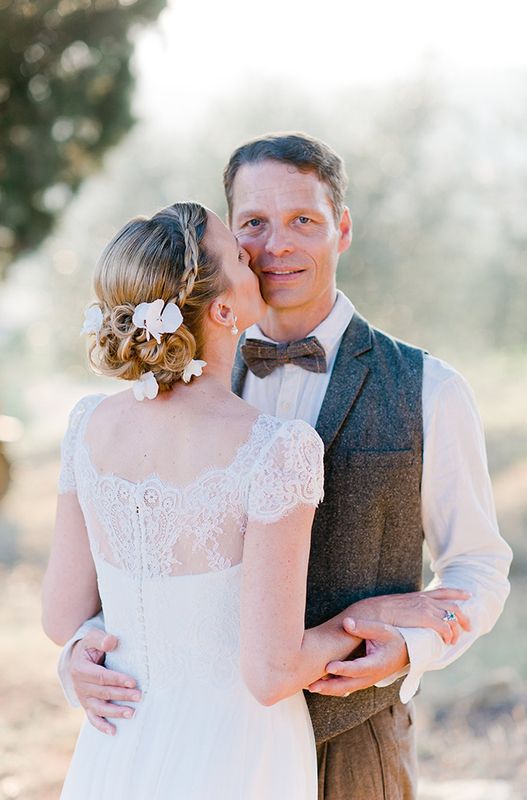 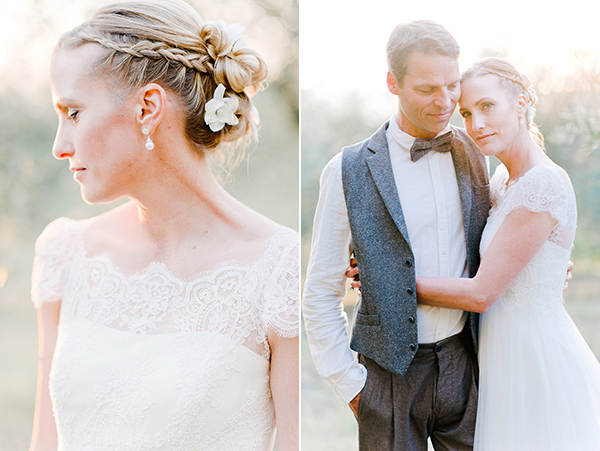 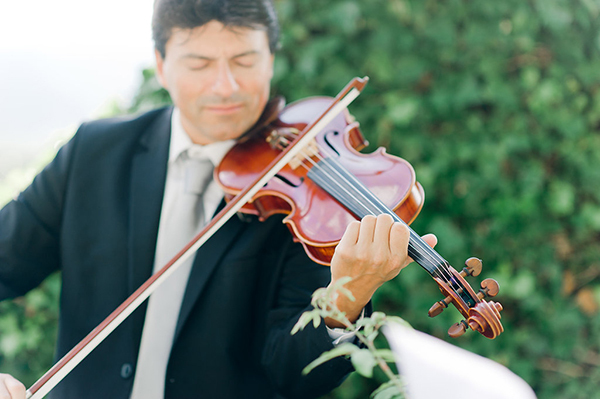 Their wedding planner Helga Marks from Wedding Italy shared with us: “It was a September wedding with beautiful golden light. 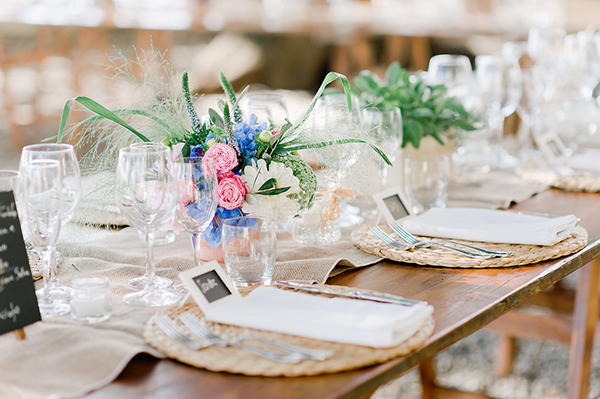 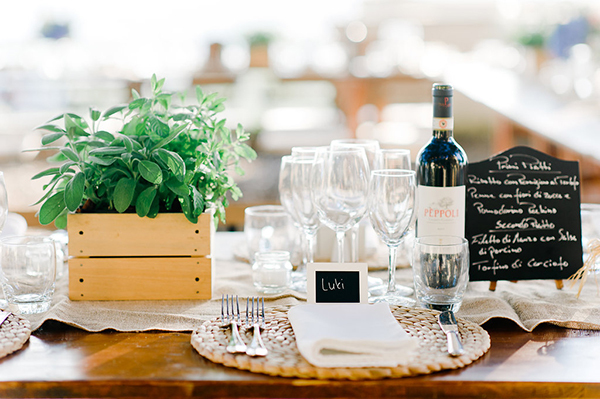 The elements for decoration were wooden cases, jute, straw, herbs, fresh seasonal flowers, olive branches, wild fennel. 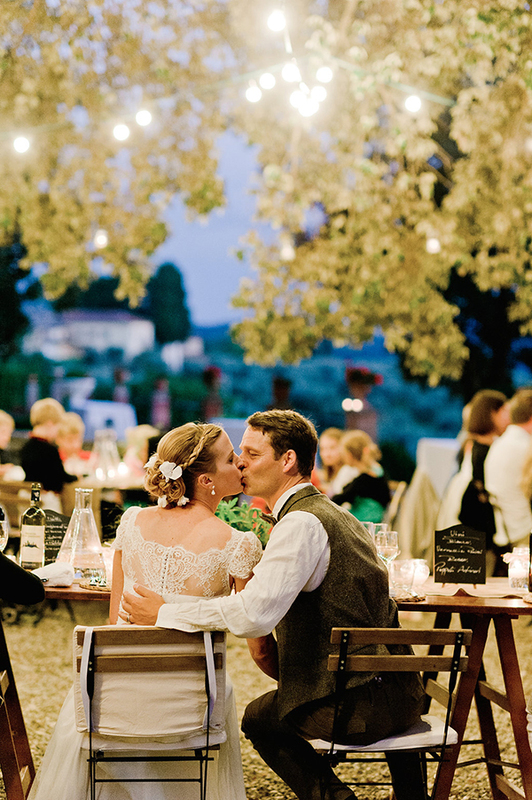 Very important for the rustic Tuscan countryside wedding was also the lighting: light chains in the big tree, lots of lanterns and candles on the table and in the entire garden area. 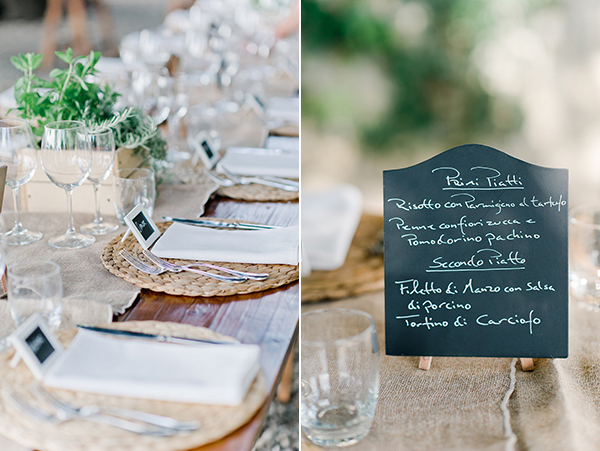 The Tuscan inspired menu and the wine list were written with white ink on small blackboards”. 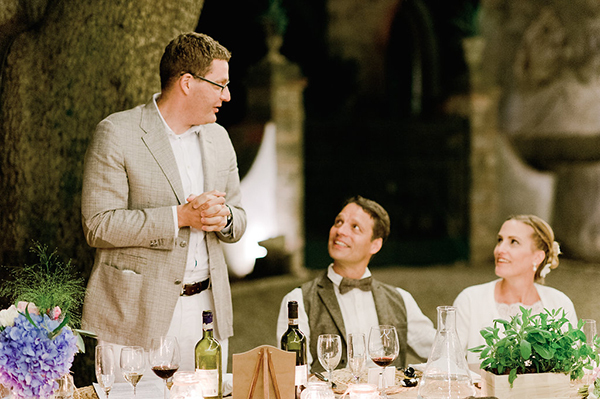 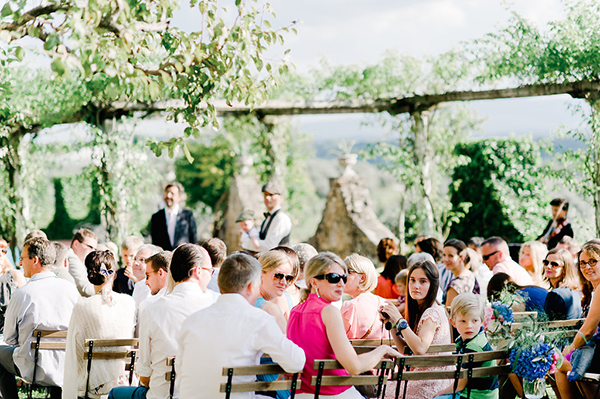 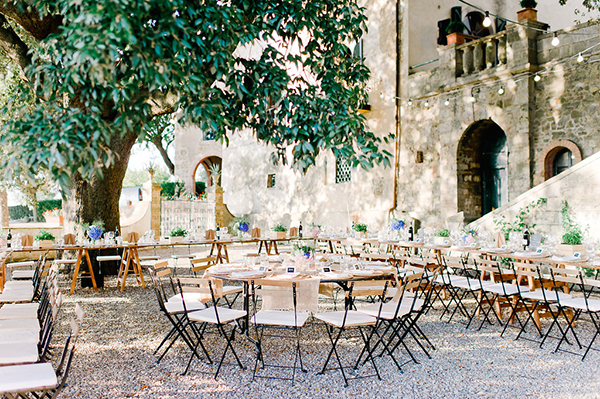 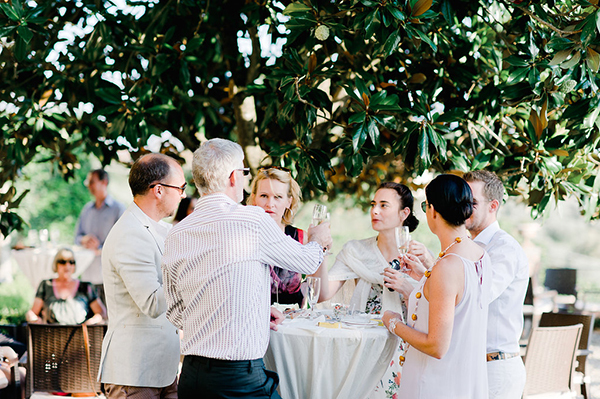 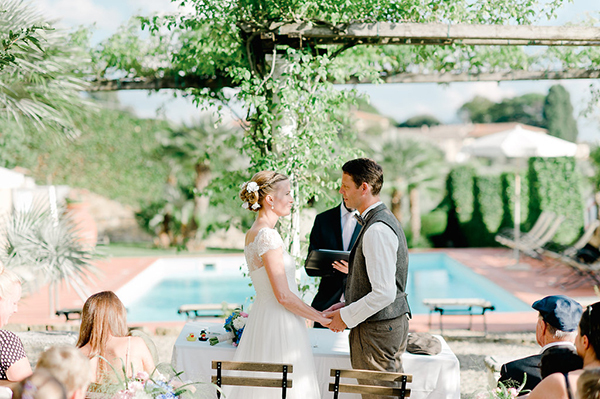 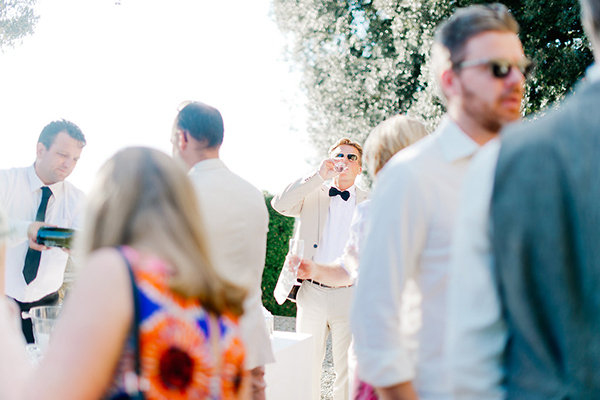 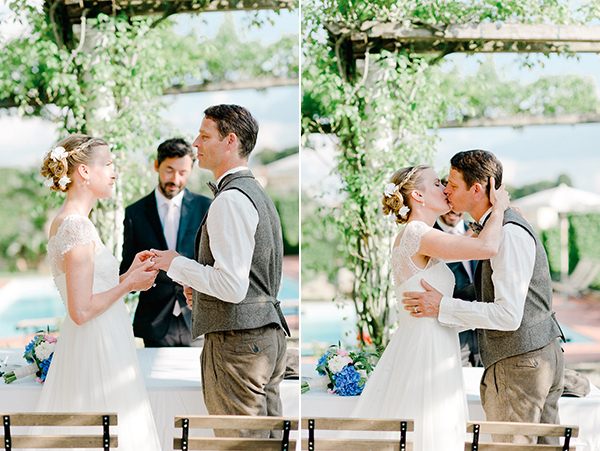 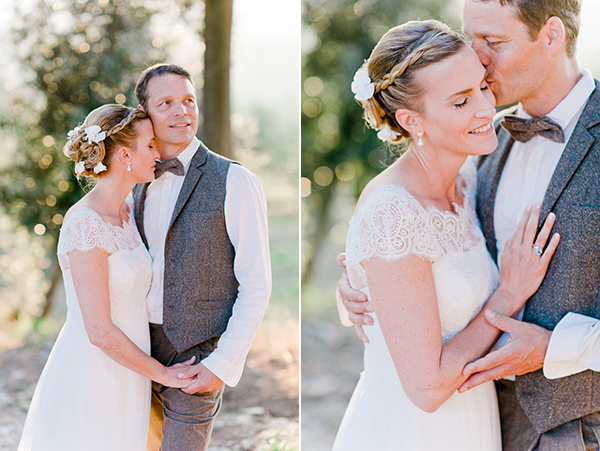 Nothing beats an al fresco wedding in Italy!! 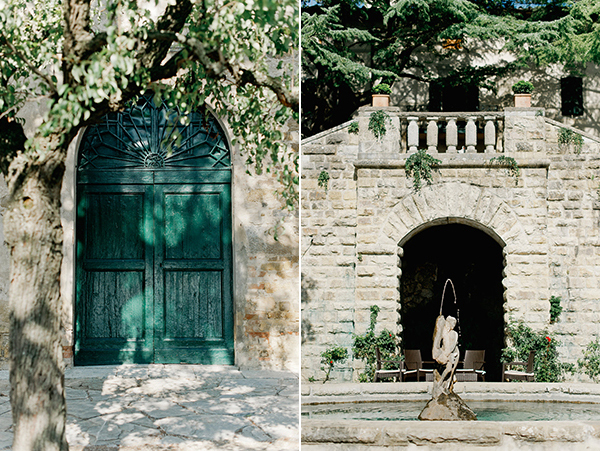 You could not be more right – utterly gorgeous!